Another Way to See Rio: Semi-recumbent! If you're visually challenged, you can certainly play the piano, but you can't get money out of most ATM machines in hi-tech Bangalore. It is surprising that though ATM facilities are widely available, the visually challenged are unable to make use of them -- all because some banks allegedly refuse to provide ATM cards, while others do not even open accounts. Anil Kumar, 25, working as a manager and also doing a company secretary course, is among those who have been denied an ATM card. He had approached State Bank of Mysore at JP Nagar and his application was allegedly rejected. "It's a complex issue. For disabled people it is incredibly hard to be spontaneous. If you wish to travel by train you have to book 24 or 48 hours in advance. You have to check there are accessible toilets on the train. "I know too many people, myself included, who find it incredibly difficult just to navigate around the UK. Travelling from London to the north east of England you sometimes have to be put off at York to use facilities." Bill Forrester offers an insight into how progress will be made for travelers with disabilities by drawing from the intriguing story of Imo. Every act of imagination is the discovery of likenesses between two things which were thought unlike. In Mexico, before the wheel was invented, gangs of slaves had to carry giant stones through the jungle and up the mountains, while their children pulled their toys on tiny rollers. The slaves made the toys, but for centuries failed to make the connection. Imo the monkey has become famous over the years, originally as a result of Robert Ardrey's wonderful work of science popularisation, The Social Contract, first published in 1970. Imo's innovations introduced change very slowly and "mainly amongst the young, and within families. The normal pattern was for the young to make the breakthrough, followed by their mothers, and then for new infants to copy their own mothers." Bill may be describing the same narrative that runs through the Rolling Rains blog. Here we have noted that the innovation of Universal Design has permeated home design and family life as Vistability, Aging-in-Place, Livable Communities - even Inclusive Playgrounds. It as also impacted home-oriented professional certification standards with the Aging in Place Specialist designation of the NAHB. Universal Design has "mom's seal of approval" and is what the kids are doing to the family homestead to help out the old folks. Hotels, resorts, airplanes, and other venues outside the ambit of home and family are still hostage to ideologies of sterile institutional design complete with "compliance thinking"
Bill Forrester summarizes, "The point of the story, for observers of human behaviour in organisations, is that the clever new ideas never penetrated to the powerful males at the top of the social hierarchy." Where are the proper leverage pints to shift from mere compliance to inclusion-as-good-business-practice? Brussels, 16 to 17 May 2011. Organised by ENAT, this seminar aims to give added impetus to Tourist Boards and Destination Management Organisations (DMOs) that are spearheading the development of accessible tourism, helping them to develop their business, role and reputation as sector leaders, regionally, nationally and internationally. 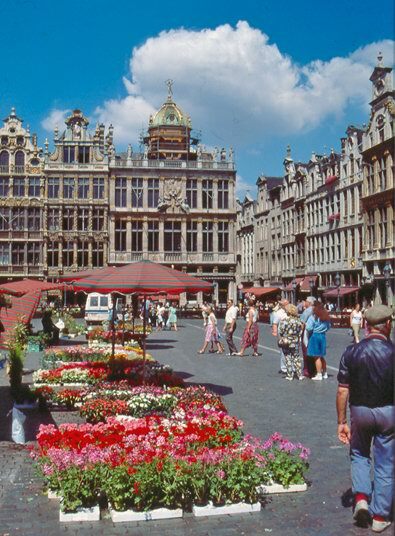 The Seminar will be held at the premises of the host organisation, Tourism Flanders, Grasmarkt, (off Grand Place), Brussels, Belgium. Facilitated by ENAT Board Members and invited speakers, the seminar will include interactive sessions where all participants may present and discuss experiences and issues which they wish to share. The number of participants will be restricted to no more than 15 persons, in order to ensure satisfactory conditions for dialogue and discussion. What areas still need to be improved? According to Mr. Ivor Ambrose, Managing Director of ENAT, accessible tourism is about making the whole tourism experience inclusive and accessible to all visitors. Therefore it is important to address all aspects of the tourism value chain, to meet the needs of the wide range of target groups. Information for customers, (on-line, printed and at the venue) should be accessible, e.g. Web sites conforming to Accessibility Guidelines by W3C-WAI. Transport and transfers must be accessible for all travellers throughout the journey; this should include the provision of wheelchair accessible transport. Infrastructure - all buildings and outdoor environments should be designed and maintained in a way that makes them accessible and usable by all visitors. Services - including activities and excursions offered at destinations and venues, should be accessible; e.g. tourist guides, waiter service, cultural tours, festivals and events, also very important - emergency evacuation procedures. Air Traveler Attitudes Toward Airlines Poor or "2+2=4"
Travel News reports: "A new report from PhoCusWright (The U.S. Consumer Perspective on Air Travel) finds that while traveler attitudes toward airlines are lukewarm overall, consumers report feeling worse about their airline experiences versus a few years ago." "Flyers are essentially giving airlines a grade of C+, which is barely above satisfactory," said Carroll Rheem, director of research for PhoCusWright. "But even more concerning for airlines is that their most valuable customers -- business travelers and those with higher annual household incomes -- are even less happy than the average." "Consumers are inherently reluctant to buy more services from companies they feel are taking advantage of them -- and unfortunately, many feel that way about airlines today," said Rheem. "Airlines have therefore put a ceiling of their own creation on the potential success of optional services. If they focus on repairing relationships with their passengers, airlines have the ability to break that ceiling. Whether or not they have the inclination remains to be seen." Or not - and pay $2.5 million in fines. Your choice. Suplejack is situated on the Northern reaches of the Tanami Desert. Approximately 126 wheelchair hours, completing the journey into Alice Springs. My support crew for this journey will be made up of my 3 main carers and family and friends. The invitation is open to anybody wishing to support this fundraiser. We will witness some of Australia's most beautiful sunrises and sunsets and camped by an open fire, enjoying a feed of Suplejack beef. We will rely on solar and generated power and cart our own supply of water and a portable cold room containing food. We'll experience inch by inch the harshness of the Tanami Desert and all its wonders. Our trek will lead us past the Tanami and Granites goldmines, several cattle stations, aboriginal communities and some of the cleanest air Australia has to offer. We decided that's no way to go about planning a wedding. BraunAbility got in touch with the great folks at Van Products, an exclusive BraunAbility dealership in Raleigh, North Carolina, right in the backyard of the couple's Knightdale home. Together we arranged for Chris and Rachelle to have the use of a BraunAbility wheelchair van - a Sienna Rampvan- as they make plans for the "big day". Under the American with Disabilities Act (ADA) Title II this DOJ rule applies to trails on State or local government lands. Also under the ADA Title III it applies to other "public accommodations" that would include trails open to the public on privately or commercially managed lands. Federal agency managed lands are not directly covered under the ADA, however this rule sets legal precedents the Federal agencies must watch. So, the Federal agencies are also reviewing their policies, procedures, and the way in which trails on the land base they manage have been assessed. An "other power-driven mobility device" is defined in the rules as: "any mobility device powered by batteries, fuel, or other engines -- whether or not designed primarily for use by individuals with mobility disabilities -- that is used by individuals with mobility disabilities for the purpose of locomotion, including golf cars, electronic personal assistance mobility devices (EPAMDs), such as the Segway? PT, or any mobility device designed to operate in areas without defined pedestrian routes, but that is not a wheelchair within the meaning of this section. This definition does not apply to Federal wilderness areas; wheelchairs in such areas are defined in section 508(c)(2) of the ADA, 42 U.S.C. 12207(c)(2). The DOJ rules say anyone who has a mobility disability. A person using an other power-driven mobility device may be asked to provide a "credible assurance" that the mobility device is required because of the person's disability. That credible assurance can be showing a valid, State-issued, disability parking placard or card, or other State-issued proof of disability, or if the person doesn't have any of those with them, they may simply say that the other power-driven mobility device is being used for a mobility disability. A person may not be asked if they have a disability or anything about their disability. Only 8 million people who have mobility limitations use wheelchairs, canes, crutches, etc. Close to 20 million people have a mobility related disability but don't use wheelchairs, canes, and so forth. However, they still have mobility disabilities that limit the distance they can walk due to heart or breathing disorders, amputations, joint or muscle related disabilities, and the list goes on. Keep in mind that 85% of all disabilities aren't obvious. (e) Whether the use of the other power-driven mobility device creates a substantial risk of serious harm to the immediate environment or natural or cultural resources, or poses a conflict with Federal land management laws and regulations." Traveling with a service dog is a tricky subject for me to write about since the closest Marlene and I got to working with a service dog was a one-day orientation. We didn't get the dog because Marlene already had a service animal (otherwise known as a husband). It was particularly unfortunate because Marlene fell in love with the dog, a black lab named Ishmael. For someone like Marlene, who has admitted she can't teach a flea to jump on a dog, it was revelation to see how much Ishmael could do to help. However, this is an important - and tricky -matter for many disabled travelers. Some countries won't let in any foreign dogs or have long quarantine requirements. Others require special identification tags, vaccinations or health certificates. Certain airlines won't fly dogs to particular destinations, and some airports in a given country won't allow dogs in while others will! So, be careful to check on possible restrictions with the embassy or consulate of each country you will visit. (Note: This and other country information may be found on each country's Country Specific Information at http://travel.state.gov). Here from Inside Bay Area is another of example of "second wave" mainstream reporting on Universal Design. The first wave began nearly 30 years after the concept was first created during the Disability Rights Movement on the 1970's. Confusion between ADA checklists for accessibility compliance and Universal Design as a design approach was typical of that era of reporting. The current message implicitly grasps that UD is not a style but emphasizing that it is specifically not a sterile lack-of-style or "hospital sterility." Unfortunately, that message is only circulating among appliance makers, home builders, and remodelers. It has yet to permeate the business culture of hotels, resorts and airlines -- with exceptions like Alaska Airlines according to Travels with Pain and Springboard Consulting's Disability Matters Awards. If you plan to live out your retirement years in your own home, adding universal design features will make aging in place safer and more comfortable. And if you should later sell, your buyers will appreciate how these upgrades anticipate their future needs. Unlike home improvements designed to make an immediate impression, universal design additions with the most sales appeal are discreet. Paul Sullivan, a remodeling contractor in Newton, Mass. Armand Christopher, a Realtor and designated Seniors Real Estate Specialist: "You don't put in hospital-grade grab bars in a bathroom when you are remodeling." Fortunately, you don't have to settle for the institutional look. From ergonomically designed faucet handles to skid-free flooring, today's universal design products are stylish and subtle. Brazil and the United States have established a working relationship for the organization of the 2014 World Cup and the 2016 Olympic Games. To what extent will Universal Design and ADA-quality expertise become accepted? An agreement signed by the two nations says that the United States will share its know-how in organizing the two events. The United States hosted the World Cup in 1994 and the Olympic Games in 2000. The declaration says that the two countries will "focus on planning and strategic development, infrastructure, security, tourism, and commercial enterprise." It also says that the United States will send missions to the 12 Brazilian cities that will host World Cup games and to Rio de Janeiro for the Olympic Games. The Government of Canada is inviting not-for-profit organizations to apply for funding to improve the accessibility of conferences and key events for people with disabilities. The Honourable Diane Finley, Minister of Human Resources and Skills Development, announced a new call for proposals for accommodation projects under the Social Development Partnerships Program -- Disability component. Eligible expenses could include: sign language interpretation, real-time captioning, readers and scribes, support persons and interveners. The videophone is an essential appliance in a household where people use sign language. It has become part of our lifestyle allowing us to make "point to point" calls to other videophone users, and connect to any video relay service (VRS) where a communications assistant interprets the call between sign language and voice telephone users. The Federal Communications Commission, a federal agency that has regulated VRS since 2002, states that "Because the conversation between the VRS user and the Communications Assistant (CA) flows much more quickly than with a text-based TRS call, VRS has become an enormously popular form of TRS [Telecommunications Relay Service]." The advent of video relay services is only a decade old and yet, so much has happened in this short time period. An average of 8 million VRS minutes is now generated per month according to the National Exchange Carrier Association (NECA), a membership association of U.S. local telephone companies. There are now 10 certified VRS providers and 32 white label providers according to a recent FCC filing by ConvoVRS. "Unlocking Victorian Tourism : A draft report for further consultation and input" is a rhetorically balanced effort at rolling back inclusion that certainly does merit the further consultation and input it calls for. Fundamental is the misguided assumption that utilization rates of stigmatized "handicapped rooms" is predictive of demand. Are we to assume that the travel behavior of those with disabilities would be the same under a policy of inclusion as it is within an environment of grudging minimal compliance to barrier removal standards? Does any other market niche respond positively when moderately adequate service is supplemented by regression to a substandard era? Surfacing once again it is mere compliance as a substitute for informed marketing and a coherent strategy for winning the senior and disabled niche through adoption of Universal Design. You might say that Victoria is crafting a defensive strategy against the next tsunami - the Silver Tsunami of of traveling Boomers. This wave of "Easy Travelers" has little tolerance for merely begrudging architectural and attitudinal acceptance of the changes in ability that accompany their senior years. They simply avoid destinations that fail to invite them in. That the Department of Planning and Community Development, in consultation with the accommodation industry evaluate the accessibility ratio standards. The evaluation would assess the costs and benefits of this regulation, and examine the utilisation of accessible rooms and the efforts of the accommodation industry to better manage the use of these rooms. This evaluation should inform Victoria's position on the accessibility ratios and a decision to pursue potential changes to the accessibility ratios nationally. Several participants argued national building standards and their administration in Victoria impede the development of major new hotel accommodation in Melbourne and regional Victoria. In recent years, the supply of serviced apartments in most major cities, including Melbourne, has grown more rapidly than the supply of stand alone hotel rooms. While participants argued federal and state policies supporting residential development may be driving this trend, they also considered the different building standards applying to these two types of short-term accommodation distort investment. lost revenue to hotels competing in the short-term market with lower room rates because they do not have to cover the cost of providing accessible rooms. A survey by the Tourism and Transport Forum and Australian Hotels Association on the requirements for disability access reported the 'average demand for accessible rooms was 0.47 per cent of rooms per night, per establishment' and 'occupancy for accessible rooms was 30.7 per cent compared to 71.4 per cent for other rooms' (sub. 44, p. 38). A review of the accessibility requirements, however, argued business could address this low use of accessible rooms by more carefully designing accessible rooms, educating staff and better marketing to older people as well as people with a disability. On balance, the Commission considers the Department of Planning and Community Development, in consultation with the accommodation industry, should conduct an evaluation of the accessibility ratio standards. The evaluation would assess the costs and benefits of this regulation, and examine the utilisation. consultation before delivering a final report to the Government. The Commission should receive all submissions by 12 April 2011. New Delhi, Feb 28 (IANS) The National Museum here has put in place a system to enable visually-impaired people to walk through and appreciate art -- becoming the first museum in India to become accessible to the visually challenged. The National Museum has installed monograms, signs and Braille inscriptions to make the objects blind-friendly. Besides, the main passages, ramps and galleries have been reworked to be made barrier-free. Likewise, the necessary modifications have also been made to accommodate mentally retarded people. The blind-friendly facilities will become operational next month. 'It is part of our efforts to reach out to more and more sections of the society,' C.V. Ananda Bose, administrator of National Museum and vice chancellor of the National Museum Institute, said in a statement late Sunday evening. 'The disabled people, though with keen interest in art, are being left out from such pleasures of knowledge and the art appreciation of these vulnerable categories has been minimal in the country,' he said. 'We have now devised this highly-focused system for the blind and the mentally retarded people to begin with and later it will be extended to other marginalised sections like spastics and street children,' he added. The museum has completed pilot programmes to accommodate blind visitors. 'Though the visually-impaired visited the museum earlier, they had to take the help of the guides and could only listen to the narrations. Now they can feel and learn by touching the objects,' Bose said. As part of the art education programme for marginalised children, the museum is organising a 'tactile exhibition' for the visually impaired next month. 'It will give an overview of 'Indian sculptural art through ages', kaleidoscopic in its rich variety of form and colours, by the display of replicas of masterpieces,' he added. An outline of ancient sculptural art of India to the special audience will be presented through display of replicas supported by bilingual braille text, facility of self-guided floor path and audio guide. 'Museum objects have no textual language, yet communicate more powerfully with people of varied categories by their own distinct forms, colours, textures, dimensions and so on,' Bose said. 'Art is therapeutic tool and art objects are of multidimensional and multidisciplinary educational value,' he added. National Museum has in its possession over 2,06,000 works of exquisite art, both of Indian and foreign origin covering more than 5,000 years of our cultural heritage. Signage in Braille, tactile exhibits and audio guides are among the few measures the Archaeological Survey of India (ASI) plans to implement in order to make museums and monuments in the city more friendly towards the visually challenged. The ASI is in talks with the National Institute for the Visually Handicapped, Dehradun, that works under the Ministry of Social Justice and Empowerment, to introduce several Braille devices and signages at the sites. Officials said following a request from the Ministry, the ASI has been coordinating with the NIVH to develop the system. "Currently, some sites like Sanchi and Sarnath Museum have Braille signages. We are now planning to take the initiative forward to other prominent sites across the country. The idea is to make the monuments and museums disabled-friendly and to open them up to as many people as possible," BRR Mani, Joint Director General-ASI, told Newsline. "We are in talks with the Institute and have sought their expertise on developing the various Braille devices and signages that will help the visually impaired experience the heritage of our country." disease?" This is because all Italians are tested for celiac disease at an early age. restaurant owners, managers, chefs, and waiters are well-informed. Guide to New York and this year I decided to write The Gluten-Free Guide to Italy. about celiac disease, not many gluten-free travelers to Italy realize that! Johns Creek Living Magazine, July 2008: 36-37. CSA Lifeline 2007, p. 19. Veja Portugal Acessivel. Viaje com Accessible Portugal. Conheca a Program Rampa neste video. Autism Speaks, a nonprofit autism science and advocacy organization, is accepting Letters of Intent from community organizations for its sixth round of Family Services Community Grants to promote services that will enrich the lives of individuals with autism spectrum disorders. The focus of these grants will be on proposals that serve to build the field of services for individuals with autism and expand the capacity to effectively serve this growing community. Proposals for family services grants are sought in the areas of Recreation/Community Activities, Education, or Young Adult/Adult Services. Grants may be used to support new programs or the expansion of existing projects. Preference will be given to programs that expand the numbers of individuals served. Priority will be given to agencies or organizations that address the needs of those who have little access to services. Agencies that provide services to the underserved are encouraged to submit proposals. Autism Speaks does not award grants to individuals or fund an individual or family for participation in personal programs. Grant awardees are required to wait at least one year before submitting another application. The amount requested should be in the $5,000 to $25,000 range. Multi-year grants will not be awarded. In the last grant cycle, Autism Speaks awarded over $500,000 in total Family Services Community Grants to twenty-four organizations. Letters of Intent will be accepted on a rolling basis through April 8, 2011; invited full proposals are due by May 9, 2011. The complete 2011-12 Family Services Community Grants Request for Applications, online LOI process, and examples of previously funded programs are available at the Autism Speaks Web site. O Jornal Nacional apresenta um lugar que permite a pessoas com deficiência física entrar em contato direto com a arte, como mostra a repórter Neide Duarte. O Museu da Pessoa com Deficiência é pequeno e ocupa pouco espa?o. O memorial foi criado para que a história n?o se perca, uma luta que come?ou em 1981, Ano Internacional da Pessoa com Deficiência, tempo de passeata pelo centro de S?o Paulo, com cadeirantes e até uma mulher em uma maca. Os cartazes eram t?o simples quanto os desejos. A jornalista Lia Crespo estava lá. "Quando eu comecei, eu n?o esperava usufruir de nenhum dos resultados da minha luta. é legal me ver naquela imagem e pensar nisso, pensar no que eu esperava e o que a gente, de fato, conquistou", afirma. Caminhos sinalizados, informa? ?es em braile, áudio para substituir a leitura: essas s?o algumas conquistas reunidas no Memorial da Inclus?o. Na língua dos sinais, Natalia Fraz?o organiza como deve ser feita a entrevista. "Gostei bastante desse museu que contempla as pessoas com deficiência e a cultura", aponta um rapaz. é uma oportunidade rara. O radialista Beto Pereira pode dizer que viu uma obra de Portinari. "Uma replica perfeita eu consigo sentir os tecidos, o crucifixo. Eu já li muito sobre Candido Portinari, mas ter contato com a obra em si, esse contato tátil é algo que emociona", comenta. "Ao construir esse espa?o acessível, um dos objetivos foi que as pessoas, principalmente as pessoas com deficiência, participem desse espa?o que foi feito para elas", aponta a curadora do Memorial da Inclus?o, Elza Ambrósio. WTTC Economic Arguments for a Smart Travel Industry: Where the Explicit call to Universal Design? (Forimmediaterelease.net) While economic growth going forward faces many challenges, the travela nd tourism industry is still expected to be one of the world's fastest-growing sectors, according to new Economic Impact Research for 2011 to 2021. Released today by the World Travel&Tourism Council (WTTC), the research reveals the power of travel and tourism to boost economic growth and employment. "Travel and tourism creates jobs, generates exports, and stimulates investment. At a time of post-crisis global recovery, the industry is in a unique position to power sustainable growth around the globe, whether in mature economies emerging from recession or young emerging markets in the throes of rapid development. But it must have the clear support of governments and policy-makers if that potential is to be realized," said WTTC President and CEO, David Scowsill. Sustaining last year's recovery, travel and tourism's contribution to GDP is bouncing back and set to grow by 4.5% in 2011, creating around 3 million new jobs this year. Worldwide it will be worth US$1.8 trillion, directly employing just over 99 million people. When the wider impacts of the industry are taken into account the figures rise to a total value of US$6 trillion (9.1% of GDP) and 258 million jobs (8.8% of total employment). "Over the next ten years, travel and tourism's total contribution to GDP is forecast to rise by 4.2% pa to US$9.2 trillion, bringing with it 65 million new jobs. By 2021, 1 in 10 workers on the planet will be employed as a result of travel and tourism," continued David Scowsill. This growth will be largely driven by rising living standards and new consumers - mainly from countries such as China and India - entering the market, boosting international travel, and generating increasingly vibrant domestic tourism sectors. Foreign travelers' spending will continue to be vital to many nations' economic fortunes. These visitor exports are expected to grow by 6.6% per annum, reaching US$1.8 trillion in 2021. Industry investment - currently estimated at US$652 billion - is forecast to double in real terms over the next decade to reach US$1.5 trillion, with particularly rapid growth in emerging and developing economies. However, economic challenges such as fiscal austerity and rising commodity prices mean that governments will need smarter policies to support the industry as it grows and seize its potential to create jobs, increase exports, and stimulate investment. Geoffrey Kent, Chairman of WTTC and Founder and Executive Chairman of leading luxury tour operator Abercrombie&Kent, commented: "WTTC's annual research proves that the direct contribution of travel and tourism is only a fraction of the industry's true worth. The research can help governments and business better understand the true power and potential of this industry to boost GDP, employment, and exports, helping to drive economic growth. For that growth to be sustainable governments must work together with the industry towards smarter policies and legislation that will help travel and tourism to thrive." - support the human capital needs of the industry through appropriate skills development and employment legislation. Undertaken in partnership with Oxford Economics, the world research report is one of a series for 181 countries and 20 country "groupings." Each also charts the value of business versus leisure, and domestic versus international travel. All the reports are available free online at www.wttc.org . The IDeA Center is now offering the next two courses in its online continuing education program. This course introduces universal design as part of the phenomenon of innovation. Universal design is viewed as an evolutionary process that functions within a social ecology that varies by industry. The readings introduce students to the most widely adopted definition of universal design through the construction of seven principles and associated guidelines. Additional readings reformulate the Principles of Universal Design for use in building and urban design and provides extensive best practice guidelines and examples of how those Principles can be applied. Additional articles describe how the process of innovation can be used to understand how to introduce universal design into the marketplace and how that process might play out differently in different industries, as well as provide more detailed case studies of noteworthy universal designs, the companies that produced them and the basis for their success. This course introduces participants to the basic issues of home modification design and provides information and tools for delivering service using universal design guidelines. Common home modification needs and solutions will be presented and discussed through illustrations and several case study examples. Registration is now open for both courses and will be available until March 23, 2011. Both courses begin March 28, 2011, are entirely online and continue for 4 weeks. Each course contains readings, a quiz, discussion board topics and a brief exercise. If you plan to take both courses, please register for each course individually. AIA members will receive 15 CEUs per course. For more information about the courses offered, please go here. To register for the courses, please go here. Please note that international participants can pay via credit card or money order. If you have any questions, please contact Jordana Maisel (jlmaisel@buffalo.edu or 716.829.5902). Quando seremos respeitados pelas companhias aéreas? Li uma matéria no G1 que citava o fato da deputada federal Mara Gabrilli ter ficado duas horas dentro do avi?o da TAM, na noite de ontem, em Guarulhos, esperando pelo ambulift - veículo motorizado, com elevador, que transporta pessoas com deficiência até o avi?o; o equipamento é acoplado a uma das portas do avi?o para que o passageiro possa embarcar/desembarcar com seguran?a - para que descesse do avi?o em seguran?a. Segundo a matéria, a deputada se recusou a descer, carregada, as escadas (escorregadias por causa da chuva) do avi?o, alegando falta de seguran?a. Somente após a chegada do ambulift, a deputada desembarcou. A TAM alegou que n?o havia finger - túnel que leva os passageiros diretamente do avi?o ao terminal - livre para que a aeronave em que Mara estava pousasse fora de uma área remota. A companhia aérea lamentou os transtornos causados à cliente e ressaltou que possui pessoal treinado para transportar pessoas com deficiência. A deputada, por sua vez, ficou indignada com a situa? ?o de total descaso. Segundo a matéria do G1, Mara disse que: "Apenas o aeroporto de Brasília recebe 30 passageiros cadeirantes todas as noites. Segundo me contaram, a TAM desembarca, em média, seis cadeirantes por noite só em Guarulhos e estava com o ambulift quebrado há um mês e meio." Infelizmente, essa foi mais uma situa? ?o de desrespeito em rela? ?o a pessoas com deficiência. Se fizeram isso com uma deputada federal, totalmente engajada na luta pelo direito das pessoas com deficiência, que viaja com grande freqüência, famosa e profunda conhecedora de seus direitos de cidad?, fico imaginando o tratamento dado a deficientes an?nimos pelo nosso país. Seria bom a TAM ouvir o belo discurso que a deputada fez no plenário, onde, entre outras coisas, falou sobre a importancia da acessibilidade em nosso país. O Brasil ratificou a Conven? ?o da ONU, na qual a falta de acessibilidade é considerada um tipo de discrimina??o. Como, em nosso país, discrimina? ?o é crime, já está mais do que na hora de tornarmos a acessibilidade uma realidade. Eu, particularmente, sempre viajo de avi?o. Cada ida ao aeroporto é uma novela. é impressionante o descaso das companhias aéreas em rela? ?o às pessoas com deficiência. A única forma que encontrei para ser um pouco mais respeitada foi andar com uma cópia da Resolu? ?o 009/2007 da ANAC, que garante a assistência às pessoas com deficiência em viagens aéreas. Mas, infelizmente, n?o me lembro de nenhuma viagem em que n?o tenha tido problemas. Sem querer puxar a sardinha pro meu lado, gosto muito do atendimento, em Confins, no Aeroporto Internacional Tancredo Neves. Os funcionários s?o bem treinados, os fingers sempre s?o utilizados, existem balc?es rebaixados e banheiros adaptados, boa sinaliza? ?o, etc. Fa?o apenas uma ressalva: a Gol possui um balc?o rebaixado para cadeirantes. Só que, em todas as vezes que precisei, os atendentes preferiram me atender nos balc?es mais altos. No dia em que perguntei à atendente se o balc?o rebaixado servia apenas de enfeite, quase fui linchada!! Precisavam ver a cara da mulher!! Ainda mais que pedi tudo o que tinha direito: auxílio para entrar na aeronave, etiqueta preferencial, etiqueta de frágil e saco plástico para proteger a cadeira de rodas, me recusei a usar a cadeira da Gol indo com a minha até a aeronave, n?o assinei uma declara? ?o isentando a empresa da responsabilidade de cuidar da minha cadeira, etc. Minha irm? saiu de perto para dar risadas. Nas outras companhias aéreas, também sempre fui atendida em balc?es altos. Quando estou atacada, fa?o o atendente sair do lugar pra pegar meus documentos. Freqüentemente, os funcionários de Confins recebem treinamento. Acredito que, em breve, teremos um servi?o melhor ainda. Por causa da Copa do Mundo, o aeroporto está sendo reformado e ampliado. Podendo escolher, prefiro viajar pela TAM, por ser a única empresa que conhe?o a possuir o cinto de seguran?a auxiliar para tetraplégicos. Embora a Resolu? ?o exija a utiliza? ?o desse cinto, sem fiscaliza? ?o, as empresas n?o cumprem o previsto na resolu??o. Só que, muitas vezes, a tripula? ?o nem sabe da existência dele! No ano passado, quando voltava de Brasília para BH, após uma competi? ?o de nata? ?o, pedi a comissária de bordo que colocasse o cinto em mim. A mulher custou a encontrá-lo. Depois, n?o soube colocá-lo. Reclamei e ela teve que recorrer à outra tripula??o. Quando percebi, apareceram 3 outros funcionários para tentar colocar o cinto em mim. Nem assim, ele ficou 100% certo. Acho que falta treinamento em rela? ?o a isso. Assim como a Mara Gabrilli, também acho muito desagradável ser carregada pelas escadas. Sempre que posso, me recuso. Mas, a press?o é grande. Tanto dos funcionários quando dos familiares que ficam envergonhados com todo mundo olhando. Embora as companhias aéreas falem que possuem pessoal treinado, sempre me deparo com algumas pessoas despreparadas. Em 2008, ao desembarcar no 'submundo' do Gale?o/RJ, dois funcionários da Webjet carregaram minha cadeira de rodas. Aleguei que havia visto vários fingers desocupados na pista e que n?o queria ser carregada. Falei sobre a Resolu? ?o da ANAC e nada. Como havia trabalhado o dia todo e já eram 00h 40min, acabei me rendendo pelo cansa?o. Saímos debaixo de chuva. Quase caímos. Cheguei ao solo com meu pesco?o tombado pra trás. Outra vez, em Vitória/ES, em pleno final de tarde de uma ter?a feira de carnaval, bati o pé que queria o ambulift para entrar na aeronave. O aeroporto, que é pequeno, estava lotado. O funcionário da Gol queria me convencer de todo jeito. Falou que os v?os estavam atrasados e que demoraria muito para me colocarem lá dentro com o ambulift. Foi juntando gente no check-in... Minhas irm?s e minha prima falaram que estavam morrendo de vergonha com o povo olhando feio pra gente. Como o atendente era bem bonitinho e me garantiu que me levaria em seguran?a, acabei me rendendo. Mas ele teve que me carregar no colo sem a cadeira de rodas!! Fico indignada com aeroportos que possuem fingers e obrigam cadeirantes a serem carregados. é muito desconfortável e inseguro. Eu poderia jurar que nunca desceria escadas no Gale?o. Doce ilus?o!! Andei de ambulift em 3 aeroportos e foram experiências meio traumáticas. Minha primeira vez foi em Vitória/ES, no carnaval de 2008. Para descer da aeronave, andei de ambulift. Todas as pessoas desceram e eu fiquei à espera. Depois de uns 20 minutos, o equipamento chegou. Só que, por falta de utiliza? ?o, os funcionários n?o sabiam operar o equipamento. Lá se foram mais preciosos minutos! Sem brincadeira, devo ter gasto uns 50 minutos para conseguir chegar à área de desembarque! Na volta pra casa, acabei indo pelas escadas por for?a das circunstancias. Minhas outras utiliza? ?es de ambulift foram em abril de 2010, em Goiania e Brasília. Fui para uma competi? ?o de nata? ?o em Goiania. A descida pelo ambulift foi tranqüila. Já na volta... O ambulift cabia duas cadeiras de rodas, em fila, e o operador. Fui no fundo. A geringon?a é aberta, apenas com uma barra nas laterais. O operador do ambulift travou as cadeiras de rodas e come?ou a operar o equipamento. Na hora de acoplá-lo a porta da aeronave, ele deu uns pulos. Eu morri de medo. A altura é bem grande para arriscar levar um tombo de lá. Foi só minha cadeira se mexer um pouco que me manifestei. O operador me garantiu que eu n?o cairia de lá. Pode até ser, mas se fosse t?o seguro, por que ele estava segurando em uma das barras?rsrs... O Diego, o outro nadador cadeirante, segurou minha cadeira de rodas e me acalmou. Falou que n?o me deixaria cair de lá; se caísse, ele iria junto. Já, o ambulift que andei em Brasília, é fechado. Parece um container. Fomos 3 cadeiras de rodas e um funcionário. Ainda tinha muito espa?o sobrando. O funcionário travou nossas cadeiras de rodas. Sabe-se lá por que, o equipamento come?ou a pular e as cadeiras de rodas come?aram a andar sozinhas mesmo travadas. O funcionário n?o sabia quem socorria primeiro. Como era a mais leve dos três cadeirantes e, provavelmente, a mais medrosa, tratei logo de fazer um escandalo e garantir ajuda!! Enfim, n?o gostei das experiências que tive com ambulift! Outra coisa que me deixa indignada é o descaso/demora nas respostas da ANAC. Sempre que tenho problemas, abro uma ouvidoria. Desde 2008, aguardo resposta de um chamado sobre a utiliza? ?o de cadeira de rodas motorizada em viagens aéreas. Nas outras vezes em que reclamei, após meses, fecharam meu chamado informando que a empresa aérea havia informado que recebi o atendimento correto e que lamentavam caso eu estivesse insatisfeita. No final das contas, reclamar junto à ANAC e nada, foram quase a mesma coisa. Enfim, o descaso com passageiros com deficiência ainda é grande. Já me cansei de reclamar sobre isso nos meus textos. Já tivemos algumas melhorias. Mas, ainda falta muito. Tem funcionário que nem sabe que a Resolu? ?o 009/007 da ANAC existe!! O treinamento dos funcionários é bem falho! é raro encontrar um funcionário que sabe transferir, corretamente, um tetraplégico para o assento do avi?o. Já perdi as contas das vezes em que fui: apertada/agarrada por funcionários que n?o sabiam me carregar, trombei alguma parte do meu corpo no avi?o, fiquei com a cal?a caindo ou com o suti? aparecendo... Viajar de vestido ou saia, só estando com uma lingerie bem bacana e com a depila? ?o em dia! Nunca que se sabe que tipo de funcionário irá nos atender. Acho importantíssimas atitudes como essa da Mara Gabrilli. Sou suspeita para falar dela, pois sou f? de longa data. Quem sabe com o grito de uma deputada federal as companhias aéreas passem a nos respeitar mais. Eu me lembrei de uma matéria que li sobre o Marcelo Rubens Paiva, na qual ele comentava sobre o desrespeito nas viagens aéreas. Achei fantástico quando ele bateu o pé e só entrou na aeronave depois que ela estava vazia - conforme estabelece a Resolu? ?o 009/007 da ANAC. A tripula? ?o teve que solicitar que os passageiros descessem da aeronave para que o cadeirante fosse embarcado. Só depois disso, é que os passageiros voltaram para aeronave. Outra coisa desagradável é a troca de assentos nas primeiras filas. Já fui obrigada, por exemplo, a me sentar na 6a fileira, mesmo tendo solicitado assento preferencial com 1 mês de antecedência, porque na primeira fila estavam viajando uma m?e com duas filhas maiores de 9 anos. Como a cliente possuía cart?o fidelidade, era vip e tinha mais preferência que pessoas com deficiência. Infelizmente, em muitos casos, para fazermos valer nossos direitos, somos taxados de chatos e chiliquentos. Mas, se n?o reclamarmos, fica mais difícil mudar a situa??o. Handling, dismantling and general "kick the tires"
1. Feeling more comfortable and educated about handling assistive devices. 2. Understanding those who use these assistive devices. Customers with hearing or speech disabilities please: Dial 711. Preliminary looks by web accessibility experts report no immediately apparent major design errors. *, ** Could it be that social media once again is fomenting a revolution? What have your experiences been with Delta Assist? Does the site work with your AT? Is the service positive? At Delta, we recognize that the airline industry has room for improvement. While our fliers are looking to social media to share feedback and find solutions, we're listening. Delta Assist, our customer service group, is committed to delivering these solutions in Facebook. Why bring Delta Assist to Facebook? We love our fans and appreciate your participation and feedback on our Facebook page. We've listened to feedback on the wall and wanted to give our customers a safe and secure forum for sharing comments and getting the support they deserve. The Delta Assist Facebook tab offers 24/7 support within the Facebook environment. Delta already participates in conversations on the wall. Why would I use the Delta Assist Facebook tab? Facebook is great for a lot of things. However, as a public environment, the Facebook wall is not optimally suited for one-on-one customer support, gathering detailed feedback or engaging in conversations with strong dialog. Unfortunately, brands do not have the ability to share private messages on Facebook. The Delta Assist tab provides users with the ability to share their feedback and support communications with Delta in private and with confidence. What can I expect when I send a message via Delta Assist in Facebook? When a community member sends a message to the Delta Assist team via Facebook, they will receive an on screen notification that their message has been sent and an automated email confirmation with a ticket number for future reference. We will do our best to provide a timely response to all messages. Users should receive an email response to all messages within 24-72 hours. We're working in close partnership with all of the appropriate teams across the Delta organization to circulate feedback with key stakeholders and provide the best possible solutions. If you have follow-up questions or require real-time support, please be in touch (using the ticket number provided) via this tab, on Twitter or by phone at (800) 221-1212. If you need real-time support, please contact us on Twitter or by phone at (800) 221-1212. Will Delta Assist in Facebook ask me to provide personal information? Delta Assist has been built to provide as much privacy as possible within the limits of social media. We will never ask for anyone's personal information in public. In order to deliver the best possible solutions, we will ask for your name, email address, Delta SkyMiles? number (when appropriate),the topic of your message and, if needed, your address. We will not share any of this information with anyone outside of the Delta organization or send customers any marketing messages they are not already registered to receive. How can I share feedback on Delta Assist in Facebook? We would love to hear your thoughts, ideas or feedback. Please use the Delta Assist tab and select the "other feedback" topic option. We built this tool for you, our fliers, and we're always looking to improve the Delta experience. We look forward to hearing from you! Deep in Disability Denial: Delta Flunks "Charm School"
On February 17, 2011 Delta Airlines received a hefty $2.5 million fine for "egregious" and repeated discrimination against travelers with disabilities. Specifically Delta violated the Air Carrier Access Act (14 CFR Part 382) related to boarding, disembarking, making connections, and reporting. Following the crisis management playbook Delta negotiated a series of offsets - basically agreeing to create some of the infrastructure necessary to treat travelrs with disabiities as customers rather than as a risk to be managed - in exchange for cash payment of the fine. They arranged to have a vendor simultaneously issue a "character reference" press release, published a statement by a non C-level executive, and sat out the 48-hour news cycle for the story. Mainstream media obliged by fundamentally reprinting Delta's press release. Individual bloggers with disabilities and organizations promoting inclusion in tourism made up the bulk of the reporting and analysis. Businesses who understand people with disabilities to be their market provided further analysis of the situation. There has been some debate about whether the new fines being levied on the airline industry for breaches of accessibility legislation, as a result of the record fine imposed on Delta, has the potential to put an already financially stressed industry out of business. Discount airlines in Australia have been using the same argument for some time. I think there needs to be some context put around the fines and its potential affects on the industry. Every business operates in an environment and a set of rules set by the community. Those rules embody the values and expectations of society and change over time. The current set of rules relating to accessibility are just one of a raft of rules affecting the aviation industry that include aircraft safety, workplace safety, noise regulations, environment restrictions etc. Every business has to structure its operations to remain profitable in the particular environment in which it operates. Those rules are the same for all players as they have to be to maintain a level playing field. Is TAM Representing Brazil Well Prior to the 2014 World Cup and 2016 Olympics? Brazilian councilwoman from S?o Paulo Mara Gabrilli reports having to wait two hours to deplane at Guarulhos International Airport in S?o Paulo, late on Wednesday March 2. According to a spokesperson for the congresswoman, upon arriving in Brasilia in a TAM aircraft, at around 21 hours, she was inside the aircraft waiting for a ambulift - a motor vehicle with a lift, which carries passengers with disabilities in transit. investigating what happened and s of 8:50 a.m. on Thursday (3) there has been no feedback about the case. said he would not leave the plane while there was no safe mans to do so. hours until a ambulift arrived, but I insisted that I would not be carried," she says. 30 wheelchair passengers every night. I was told that TAM has, on average, six wheelchairs per night and in Guarulhos the ambulift has been broken for a month and a half." A deputada federal Mara Gabrilli (PSDB-SP), portadora de tetraplegia, afirma ter esperado duas horas para conseguir desembarcar no Aeroporto Internacional de S?o Paulo, em Guarulhos, na noite desta quarta-feira (2). Segundo a assessoria de imprensa da deputada, ao chegar de Brasília em um avi?o da TAM, por volta das 21 horas, ela ficou dentro da aeronave à espera de um ambulift - veículo motorizado, com elevador, que transporta passageiros com deficiência em locomo??o. Procurada pelo G1, a assessoria de imprensa da TAM informou que estava apurando o que ocorreu e até as 8h50 desta quinta-feira (3) n?o havia dado retorno sobre o caso. Segundo a deputada, que faz uso de uma cadeira de rodas, além da falta do equipamento, a aeronave n?o parou junto ao finger - túnel que leva os passageiros diretamente do avi?o ao terminal. "Queriam me carregar pelas escadas do avi?o, escorregadias, debaixo de muita chuva. N?o aceitei e disse que n?o sairia do avi?o enquanto n?o houvesse seguran?a", disse a deputada. Ainda, segundo Mara, teria ocorrido inclusive "press?o psicológica" para que ela descesse carregada. "Afirmaram que poderia levar mais de três horas até que um ambulift chegasse ao local, mas insisti que n?o desceria carregada", conta. Para Mara Gabrilli, a situa? ?o atual é de total descaso com os passageiros que possuem deficiência. "Apenas o aeroporto de Brasília recebe 30 passageiros cadeirantes todas as noites. Segundo me contaram, a TAM desembarca, em média, seis cadeirantes por noite só em Guarulhos e estava com o ambulift quebrado há um mês e meio. We've Made It! Universal Design Get's "Mom Approval" in the USA. Now let's see hotels catch up! The Human Services Minister, Cassy O'Connor said that Housing Tasmania and Disability Services are working cooperatively to meet the needs of Tasmanians with disability who require appropriate public housing. Ms O'Connor said that Housing Tasmania ensured that properties allocated to people with disability were appropriate to their needs. "Housing Tasmania also ensures that all applicants, including those waiting for a property, are fully aware of relevant support services and how to access these, including Gateway Services," Ms O'Connor said. "The Department of Health and Human Services is committed to ensuring a range of accommodation options are available for Tasmanians. "A focus on universal design options are implemented through any newly constructed accommodation that is built by Housing Tasmania. "All new stock built under ESP 2 has been built to universal design (447 units of accommodation) and approximately 20% has been designed to adaptable standards." Ms O'Connor said that the Opposition's claim that only 4% of public housing stock was suitable for people with disabilities was misleading. "In fact there 6195 properties in the public housing portfolio that incorporate one or more features to improve accessibility such as level access, handrails and walk in showers. "This is over half of all public housing properties. "Housing Tasmania undertakes modifications to existing properties for people with disabilities or the elderly where feasible and where these are recommended by an Occupational Therapist. "Each year Housing Tasmania works closely with Disability Services and the Community Sector to provide suitable accommodation that meets the specific needs of people with disability. "The capacity to construct to universal design and adaptable standards needs to take into account current demand, recognition of the proportion of people with disabilities who require physical modification, feasibility of sites, available resources and availability of stock in the market place where targets are achieved by spot purchase." "The number of applicants on the public housing waiting list citing disability refers to any people of their household with a disability. This is not the same as people requiring a physically modified environment. This is verified if the applicant requests a modified environment or has ill-health requirements." Ms O'Connor said that through the State's new Gateway services, people with a disability had access to a referral to a range of supports. "In the six months to December 2010, 72 Individual Support Packages, 159 respite packages and 3 supported accommodation packages have been approved to further assist people with disability cope with challenge and change." Today, Code Factory is delighted to introduce Mobile Accessibility, a screen-access application that allows people who are blind or have low vision to use an Android phone in an intuitive, easy and simple way. Mobile Accessibility is the first accessible Android application that permits intuitive touchscreen navigation of Android phones, featuring text readback via natural sounding voices powered by Nuance's Vocalizer? text-to-speech technology. "Mobile phones have proved to be among the fastest-changing consumer technologies in the world - particularly with the advent of the Android platform. So making mobile phones accessible to the blind and visually impaired is therefore challenging, fascinating, thrilling and totally exciting all at the same time," explained Eduard Sánchez, Code Factory's CEO. "There was no doubt that we would target the Android platform, as we very quickly realized that there was a real need in this specific market for an accessible solution that can provide a user-friendly experience for all blind and low-vision consumers. Mobile Accessibility allows everyone, from beginners to the most tech-savvy, to use an Android phone, no matter if it has physical keys or is touchscreen-only." · A suite of 10 accessible applications (Phone, Contacts, SMS, Alarm, Calendar, Email, Web, Where am I, Apps and Settings) that have been specially designed for the blind and visually impaired. They all have a simplified interface whose textual information is spoken using Nuance Vocalizer? voice synthesis. · A screen reader that allows users to get out of the suite and navigate the standard interface of their phone. "Mobile Accessibility provides both access to the mainstream apps of the phone and access to special apps for blind people. Why? Because our philosophy has always been to allow our users to use the phone the same way as everyone else. However, we also believe that having some special apps for the most common tasks can be extremely useful if it means gaining in productivity," added Eduard Sánchez. · Touch navigation: You can use Mobile Accessibility not only with the trackball or the physical keyboard of your phone, but also with its touchscreen! Simply move your finger around the screen and the voice synthesis will read the text located under your finger. Or if you prefer, you can also swipe up/down/right/left and tap on the screen to navigate through the interface. And if you wish you can enable sound and vibration feedback. · Easy to input text: In or outside the Mobile Accessibility suite you can use the touch QWERTY keyboard as well as the speech recognition to write text quickly and easily. Imagine writing an SMS or an Email using your voice only. · Voice synthesis: Code Factory has been making mobile phones accessible to the blind and visually impaired for many years now, and they know that the voice matters... and a lot! For Mobile Accessibility, Code Factory has partnered with Nuance? to leverage its trusted Vocalizer text-to-speech technology, providing consumers with natural sounding voice readback. "With around 314 million visually impaired persons around the world, we believe that it's our joint obligation to facilitate access to information and mobile communication to everyone" says Arnd Weil, VP & General Manager Automotive / Consumer Electronics, Nuance Communications. "By offering screen reader functionality for Android phones using Nuance Vocalizer, Code Factory gives blind and visually impaired persons access to one of the most important mobile platforms with the market's most natural sounding and intelligible voices." · Phone: Make calls, answer calls, hear the caller ID and manage your call log. · Contacts: Manage your contacts, even those from social networks such as Facebook. · SMS: Compose and read short messages. Manage conversations. · Alarms: Set your alarms. · Web: Full web browser experience, similar to what you can find on your PC. Jump by the control of your choice (links, paragraphs, headings, forms, etc.) to navigate faster to the information of your interest. Bookmark your favourite webpages. · Calendar: Create, edit and delete a calendar entry. View all events per day, week or month. · Where am I? : GPS application that gives you updates on your current location. · Settings: Change ringtone. Configure feedback and notifications (vibration or audio). Configure keyboard echo, punctuation verbosity, speech pitch and rate, etc. · Quick access to date and time, phone status information such as battery level and network coverage, number of missed calls and unread messages, etc. Mobile Accessibility supports all Android phones from version 2.1 and above. Please note that voice recognition is only supported with version 2.2 and above. Note also that if you want to use the screen reader functionality of Mobile Accessibility you will need a phone with physical navigational controls such as a trackball or trackpad. You can find more information about Android phones here. At the time of this release Mobile Accessibility is only available in English, but soon Code Factory will release other versions of Mobile Accessibility for Spanish, Italian, German, French and Portuguese. Note that Mobile Accessibility doesn't support multiple languages at one time. If you buy the English version of Mobile Accessibility you will not be able to use it in another language like French or Spanish. There will be a specific version of Mobile Accessibility for each language and each version will have to be purchased separately. The round-table on disability-inclusive development is a broad dialogue format to inform and exchange on what the CRPD and inclusive development means for German development actors. The Round-table convened for the second time on November 2nd 2010. Representatives from more than 30 German organizations (DPOs, NGOs, private companies, Ministry of Labour and Social Welfare etc.) followed the invitation of the German Federal Ministry of Economic Cooperation and Development (BMZ) to the round table on disability-inclusive development. The main focus of the one-day-event was the UN Convention on the Rights of Persons with Disabilities (CRPD), its innovative aspects, and the possible and necessary steps towards the realization of inclusive development, especially with regards to Art. 32 CRPD (International Cooperation). Presentations by international experts gave "food for thought" on two main issues: human rights expert Marianne Schulze from Austria presented the CRPD in the international human rights framework and its opportunities for development cooperation. Kristen Pratt, director of AusAID's disability-inclusive development team, introduced Australia's disability-inclusive "Development for All" strategy. GIZ, the German implementing agency for international cooperation (formerly GTZ), has a long-standing tradition to cooperate with AusAID in this field. This cooperation will be strengthened further in future at international as well as partner country level, also by GIZ's participation in AusAID's expert Disability Reference Group, which provides strategic guidance in the implementation and monitoring of the "Development for All" strategy. The results of working group discussions on challenges to inclusive development and possible ways forward were presented to and discussed with Gudrun Kopp, the Parliamentary State Secretary of BMZ. Ms. Kopp underlined the importance of ensuring accessibility and disability inclusion in all relevant efforts of German Development Cooperation. Ms. Kopp underlined her personal commitment to this cause and singled out that the issue of inclusive development must be increasingly addressed in bilateral government negotiations. She also announced that BMZ will develop a strategy on inclusive development in 2011 to make current approaches more systematic and coherent. GIZ was formed on 1 January 2011. It brings together the long-standing expertise of the Deutscher Entwicklungsdienst (DED) gGmbH (German Development Service), the Deutsche Gesellschaft für Technische Zusammenarbeit (GTZ) GmbH (German Technical Cooperation) and Inwent - Capacity Building International, Germany. As a federally owned enterprise, GIZ supports the German Government in achieving its objectives in the field of international cooperation for sustainable development.